From many types of cloth mask that was introduced in 2013-2014 is now fading as the beauty trend is now turning to clay masks filled with organic glacial clay proven by research to help tighten/ refine pores and reduce excess sebum excretion. Though I personally have never feel the need to turn to these kind of mask solutions as it tends to be harsh for normal to oily combination skin but I would only use them at my T-Zone area at most because that is where the pores are noticeable and tends to get oily very fast. Blessed that my cheeks don’t have that problem lol. Many thanks to Natta Cosme for supporting my blog over the years by providing the best skin care products any girl can ask for. 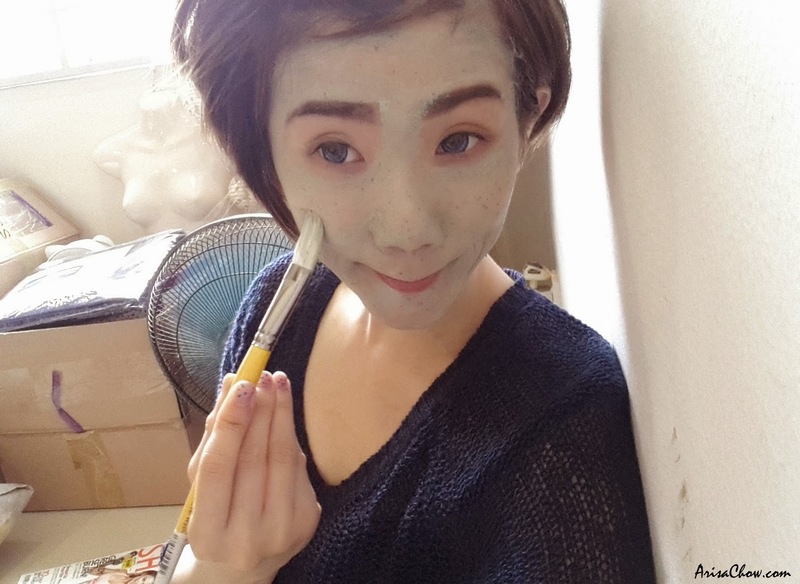 Remember the blogpost I had about a similar clay mask by GlamGlow last year? It has somewhat almost the same functions, in fact it is more affordable alternative compared to GlamGlow (sold in Sephora) and available on Natta Cosme website, their physical store is based in Seremban! One of the new products they brought in last year December (2014) was Skin & Lab Glacial Clay Facial Mask which states on the packaging that it is meant for purifying, cooling and pore refining with ingredients of glacial clay and oatmeal (yummy). Brought in from Korea, as we all know Koreans are basically experts with Asian skin problems so their product is usually very effective on our skin compared to western products, same goes to cosmetics but that is just my observance la! Lol. P/S: But if you do have very bad skin problems or bigger pores it might sting slightly more. The overall drying process only takes approximately 6-10 minutes before it completely hardens, with that it is a signal for you to wash off the mask with water. Easily removed with water and a gentle massaging to get rid of unwanted dirt and dead skin after drying you can completely feel the difference of before and after! Best finished off with Skin & Lab’s Dr Color Effect Red Serum for better radiance.